Have you ever seen the Easter Eggs of various softwares, that you use everyday. For those who have not, here's some ways to identify the Easter Eggs in programs - Click here. For those who are not aware of the Term Easter Egg - It means the Credits of people who worked on making the product / Software. Few softwares have them Hidden. (IE4.0 for instance, had a very interesting Easter Egg, where you would use Key combinations and some Unlocks to finally discover the Egg) . But many other softwares like Adobe products and Firefox have them explicit. 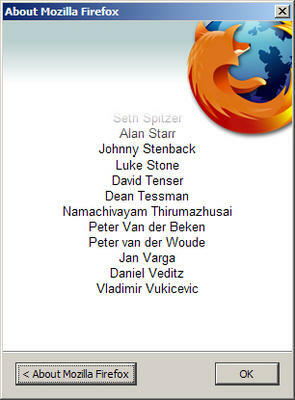 I was watching the Firefox 1.0.6 credits roll on. And This is possibly the first Tamil name that struck - Namachivayam Thirumazhusai. Wow !! He cant be from any other place.. can he be. It is kind of proud (i know it is unnecessary) to see names of Indians / Tamils / God Names in Software Credits. One other popular name is Seetharaman Narayanan. I know many would have guessed the Software, with this name. Yep, Seetharaman Narayanan is the Third name in almost all versions of Adobe Photoshop. I make very interesting Easter Eggs in my applications, thats difficult to crack, and that would display my photo and name. But Damn, no one uses the applications. Let me try and put up some Eggs on this blog.. I have an easter egg in my blog, [remember the addons I was talking about sometime back?]. nope ! wasnt able to get anything.. any DHTML stuff you put one..
i viewed the source, yet couldnt crack it..
Wow, I feel proud! Have you tried typing "About: Mozilla" in the Address Bar? Keerthi.. I thought it was Seetha Narayanan.. Are u sure it is m, not f? 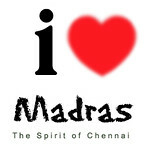 Last few posts have been quite different.. lots of techno stuff.. Nice way of putting them.... learnt quite a lot.. Thanks..
Yup, I feel good too when I see our names. News here - check out any Hollywood movie after the movie ends..in the credits..I bet you'll see an Indian Name.! News to me - Seetharaman Narayanan.! Let me check.! are you sure Venkittu Sir. Do you see Indian name after every Hollywood movie ? let me know.. whats that. en arivu kangalai thirandhamaikku nandri !